You can forget about all the hassles of getting permits with a portable shelter from Shelter Logic. Shelter Logic is the premier maker of high quality portable sheds, garages and other types of shelters. 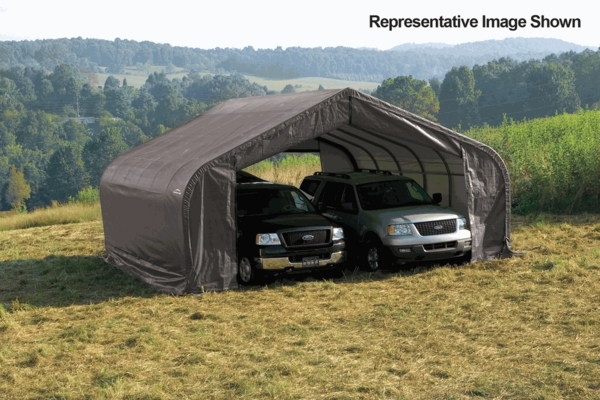 The heavy duty polyethylene cover is UV treated to protect from the damaging rays of the sun. The cover is fade resistant and resistant to mold and mildew. 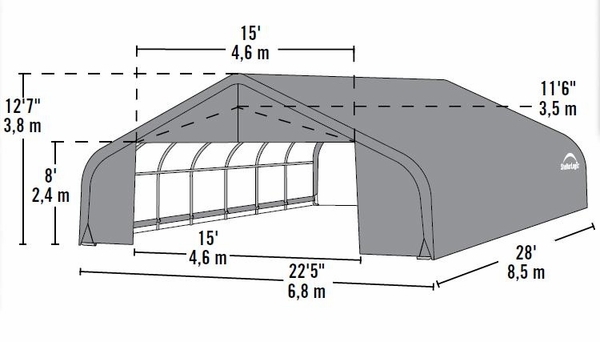 Peak-Style Portable Shelter measures approximately 22 feet wide x 28 feet long x 13 feet high.